We have four dogs in our family. We love them very very much and when we travel (which is a lot especially in the summer time) we love to take them with us if we can. 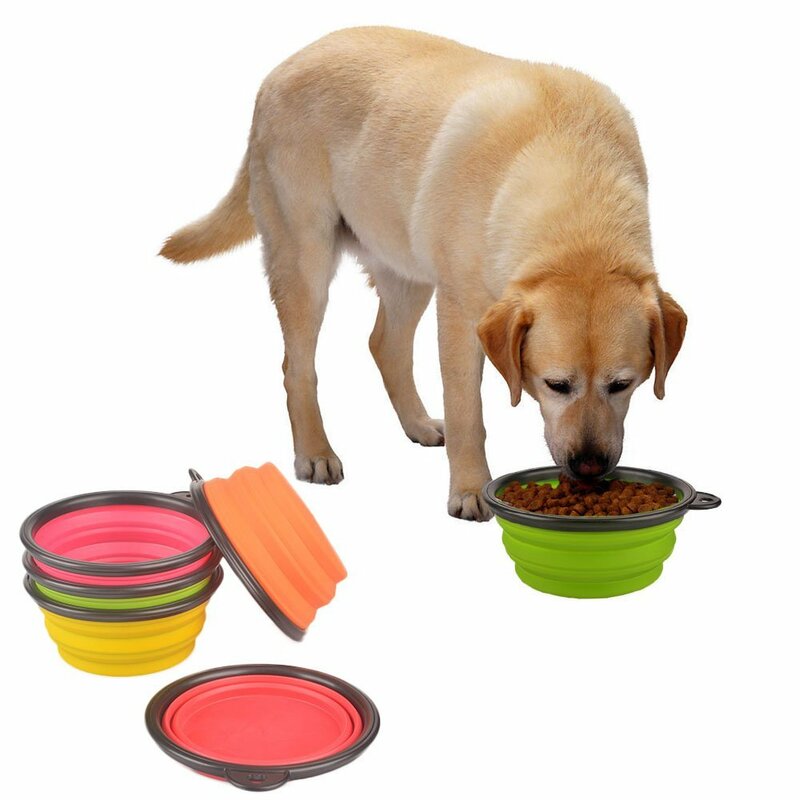 So when we are traveling with the dogs I love these great travel bowls from FD Premium. They are a firm plastic material that holds it’s shape when you are using them. Since they are plastic you can easily just wipe them out and dry them off. They have a great firm boarder around the top that keeps them from fall over or leaking. You can use them for food or water. I actually use these for water for our four dogs. I love the cool design too, they come in several different colors so cute. They are collapsible though so I fold these up and stick them in the door pocket in the driver door so when we stop I can grab them easily. They don’t take up much room at all and work great for feeding your pets when you are on the go!They also have a hole in the top so you can even slip a clip or rope on these and hang them as well.